Posted on August 6, 2014 August 7, 2014 by Gabriel. We’ve added some members to the Photo Club recently, and thought it’d be a great start over the next few weeks to have them (and the rest of us) post their favourite five (or more) photographs… and some of our favourites as well. 2. Our son Parker dressed up as a scary hot dog (3-years old) for Halloween. He was running around on my parents farm in Vankleek Hill – trying out his costume for the first time – shouting ‘BOO’ & practising his ‘Trick or Treats’ with random things, people and animals. 3. 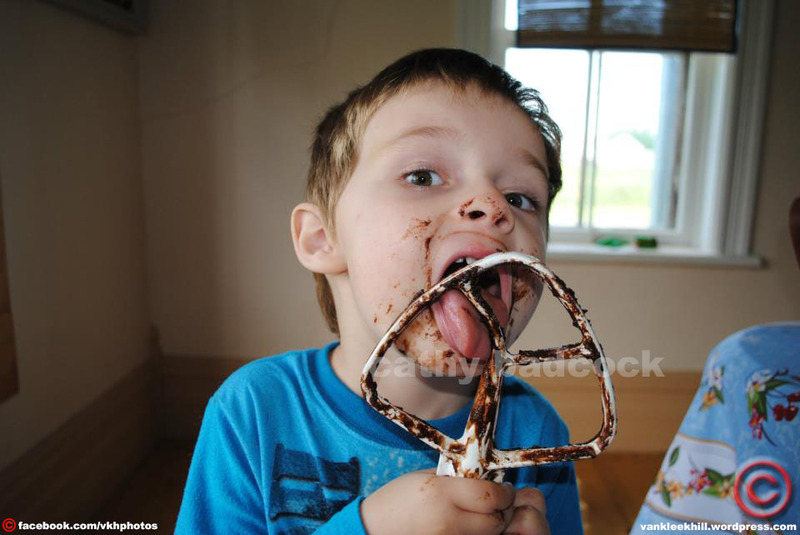 This is our son Parker(3 yrs) enthusiastically cleaning off the brownie batter spatula. Why? Because homemade brownies are delicious. 4. My husband is playing airplane with our daughter Paige. She squeals & giggles maniacally while this happens… Daddy only comes home from work on weekend … so these moments are definitely some of my favourite. 5.This picture was taken by one of my best friends – Jennifer Pelley. 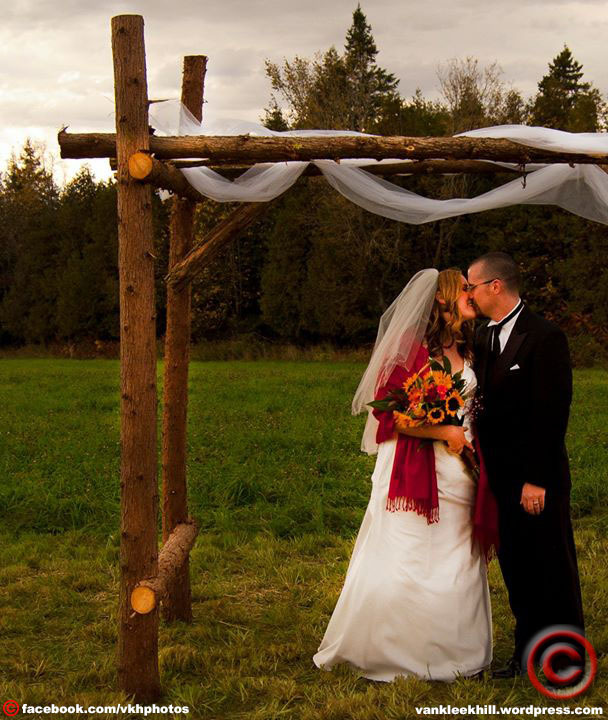 It’s a shot of my wedding day… This was a very special day, aside from actually getting married to the man who has been with me for the past 15 years, we were married in a field on my parent’s farm in Vankleek Hill. My husband cut the logs for the arbor, and he and his groomsmen built the structure days before the wedding. We were married beneath it, guests were brought into the private field by tractor and hay wagon. Everyone sat on straw bales that were donated by our neighbor. We drank Beaus and BBQ’d afterwards in a tent to celebrate our marriage, friends and family. 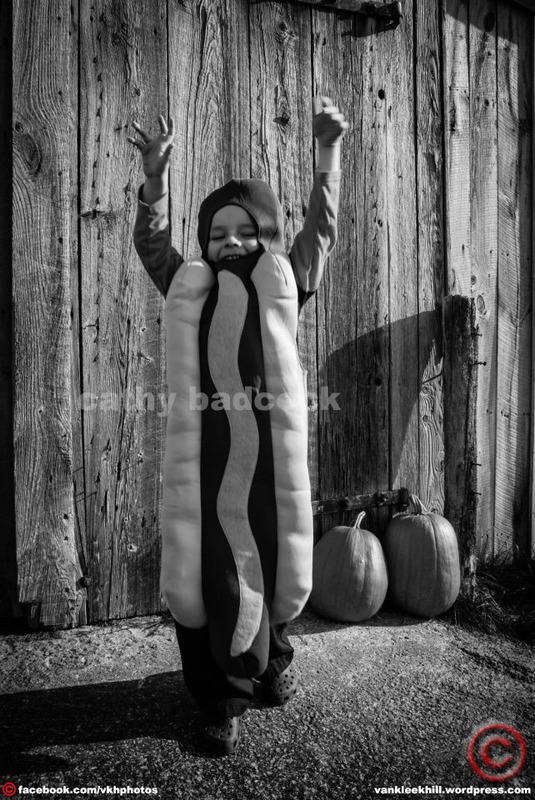 Our son Parker dressed up as a scary hot dog (3-years old) for Halloween. 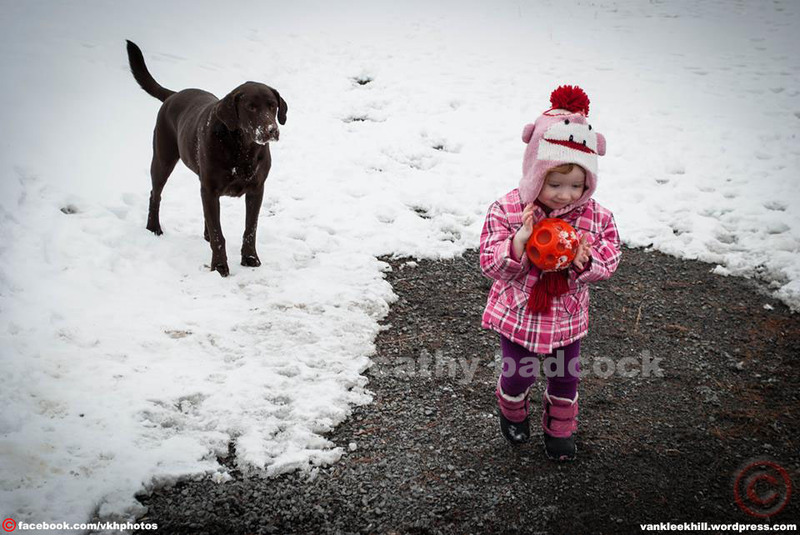 He was running around on my parents farm in Vankleek Hill – trying out his costume for the first time – shouting ‘BOO’ & practising his ‘Trick or Treats’ with random things, people and animals. This is our son Parker (3-yeards old) enthusiastically cleaning off the brownie batter spatula. Why? Because homemade brownies are delicious. My husband is playing airplane with our daughter Paige. She squeals & giggles maniacally while this happens… Daddy only comes home from work on weekend, so these moments are definitely some of my favourite. This picture was taken by one of my best friends – Jennifer Pelley. It’s a shot of my wedding day… This was a very special day, aside from actually getting married to the man who has been with me for the past 15 years, we were married in a field on my parent’s farm in Vankleek Hill. My husband cut the logs for the arbor, and he and his groomsmen built the structure days before the wedding. We were married beneath it, guests were brought into the private field by tractor and hay wagon. Everyone sat on straw bales that were donated by our neighbor. We drank Beaus and BBQ’d afterwards in a tent to celebrate our marriage, friends and family. This entry was posted in Cathy Badcock, Favourite Five, Photography, Vankleek Hill, Vankleek Hill Amateur Photographers Club and tagged Cathy Badcock, Vankleek Hill. Bookmark the permalink.